Slotcar is a 13 episode series of shorts that satirized Nascar all played out with puppeteering figurines and cars on a full sized detailed slotcar track. 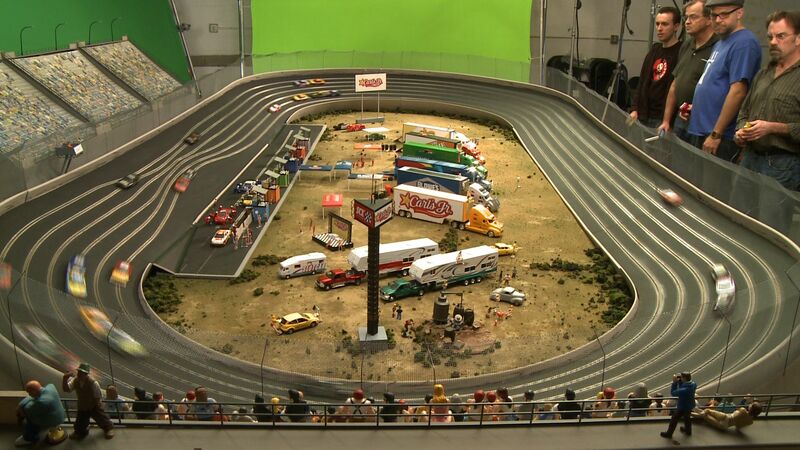 I was in charge of all of the model making and set construction of the Nascar track, stands and infield used for filming. Filming took place at Animax and it was fascinating break from my normal role as an animator at the studio. © 2008 Rob Fendler. All Rights Reserved.